Dr Jay Horvat does his homework. He's using novel experimental models to fact check and fault-find, taking clinical observations and recapitulating them in smaller simulations to dissect and study the intricate architecture of multiple illnesses. Informing the development of innovative and preventative therapeutic treatments, this committed researcher stresses it's the endgame that's important. "The whole point is to discover molecular mechanisms in experimental models of disease that might similarly be occurring in human patients," he explains. "This allows us to find new therapeutic targets for the development of treatment strategies that will hopefully translate into improved clinical outcomes for patients with a variety of diseases." Spanning the microbiological, immunological and pharmacological fields, Jay's work has a particular emphasis on illustrating the roles played by bacteria and viruses in the pathogenesis of acute inflammatory conditions. Mindful of the profound economics of chronic diseases, particularly those with ill-defined triggers, variable clinical courses and not-yet-understood symptoms, this energetic investigator's research is also serving to help construct a "big picture." "Infection-induced illnesses still cause immense mortality and place an enormous burden on healthcare systems," Jay notes. "This leads to unsustainable personal and societal costs." 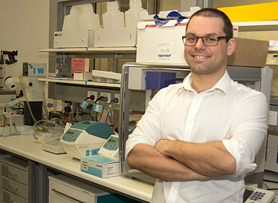 Jay started his research career with a PhD at the University of Newcastle in 2004. Under the leadership of Professor Phil Hansbro, the four-year probe sought to solidify links between respiratory chlamydia and severe asthma. "The latter is a major unmet clinical need," he affirms. "Patients tend to be insensitive to anti-inflammatory steroid therapies so they're usually on higher doses of medications, which could have long-term negative effects." "Patients are in and out of hospital more often and experience more frequent and extreme exacerbations too." "They have a lower quality of life." Appreciating the significance of these health and social impacts, Jay looked to identify how and why severe asthma develops both early on and later in life. He also aimed to confirm hypotheses that major infections drive the disease's most acute forms. "We found that having a Chlamydia lung infection as either a neonatal or an infant leads to severe changes in lung function as well as more severe asthma," Jay reveals. "The neonatal infection, in particular, leads to a form of disease that resembles emphysema." Additionally providing evidence for the existence of a phenotype switch in adults who are infected while they have asthma, Jay's doctoral research highlighted a new association between a different series of immune responses and severe, steroid-insensitive asthma. "Eosinophils have been classically aligned with asthma," he says. "They come into the lung during an allergic flare-up and release a variety of inflammatory mediators that can cause you to have an asthma attack." "If you get certain infections, however, you may get neutrophils coming into the lung instead." "The processes that drive this type of inflammation are not as easily treated." "So the infection is causing a shift from a type of immune response that is able to be suppressed by steroids to one that is not." Jay has continued collaborating with Phil Hansbro post-PhD, actively participating in a number of other asthma projects at the Hunter Medical Research Institute. An extension of his earlier work, these studies explore several bacterial and viral infections and their ties to the disease's more severe forms. "We've shown that both Chlamydia and Haemophilus influenzae infections drive a neutrophilic subtype of asthma and that influenza and respiratory syncytial virus do not," the senior lecturer states. "All four, however, similarly drive inflammation and lung function changes that cannot be treated with steroids." "So we've got four infections doing slightly different things but having this universal effect of driving steroid-resistant inflammation and airway side responsiveness." Simultaneously identifying a handful of cytokines associated with severe asthma, Jay's examination operates – and succeeds – on the proviso that if you can target a critical factor, you can meaningfully treat disease. "Cells produce cytokines, which are basically signaling molecules that link cells up and allow them to talk to each other," he clarifies. "They come out of the lung during an inflammatory response and tell the systemic immune response to mobilise and bring certain cells into the lung as well." "Interleukin-1 beta is one we've found to be involved in this process." "It's also one that's able to be depleted with antibodies, which actually suppresses the neutrophilic phenotype where steroids can't." Looking to expand upon this knowledge, Jay's laboratory work focuses on molecular elements upstream of the newly discovered cytokine. "A series of molecules, collectively called the 'inflammasome,' need to be activated in order for interleukin 1 beta to be secreted by cells," he says. "If we intervene, we can stop its production and develop novel therapies for severe asthma." "The same can be said about a novel micro-RNA we recently found." In another offshoot of his doctoral research, Jay is surveying the effects of oxidative stress on the progression of infection-induced disease. Pointing to vitamin E as a viable, inexpensive therapeutic option, the ambitious academic is perhaps as cutting-edge as he is creative. "If we can use this compound to treat severe asthma in early life, we can suppress all of the problems it causes later in life," he comments. "It's quite exciting because vitamin E is something you can get from the local chemist or grocery store – it's already approved for general consumption." A master at multitasking, Jay is currently working on some of his own independent research programs. "Our most advanced one looks at how certain inflammatory stresses might affect Alzheimer's," he discloses. "We're also examining the effect smoking has on neurodegenerative processes." Jay and his team are hoping to uncover clues as to how and why the disease advances using their experimental models. They're similarly hoping to develop therapies that will stop or reverse it's progression. "Chlamydia bacteria has been found in plaques of the brains of patients with Alzheimer's," he shares of the initial findings. "We have extended these findings to show that infections enter the brain during our models of respiratory infection." "So the infection can get into the brain – and if it can do this, it could be doing all sorts of things to affect the progression of Alzheimer's." "We have also shown that cigarette smoking accelerates the number and size of the plaques in the brain." Extending his research interests even further afield, the Hunter Medical Research Institute innovator is also collaborating with Dr Simon Keely on a novel food allergy project. Marrying Simon's experience in inflammatory bowel disease and Jay's experience with allergy; the study aims to explore and determine the effects of antibiotics on the microbiome and how this may affect immune processes in the gut that predispose to allergic sensitisation to normally harmless food protein. "Antibiotic use has been linked with increased risk of developing food allergy," Jay explains. "Importantly, antimicrobials wipe out bacteria throughout the body, especially the gut, and we think this influences immune responses and might predispose to allergic sensitization." "We show, for example, that taking a five day course of common prescribed antibiotics results in some pretty interesting changes to the immune system in the gut." "Our hypothesis is that food allergies are dramatically increasing in the developed world because we have a tendency to overtreat bacterial infections, which in turn has an effect on a healthy balanced immune system." Jay is also collaborating with Professor Liz Milward on a research assignment that looks at the tricky interplay between iron, immune responses and infection in the context of lung disease. "We want to understand how these three elements come together in the context of the lungs," he explains. "Literature already tells us that both high and low iron can affect immune responses." "It also tells us iron is important for bacterial replication." Jay and Liz are linking a small number of hereditary disorders to this work, looking to identify ways of modifying immune responses through iron and, in doing so, improve treatment options for those suffering from a range of bacterial infections. "Cystic fibrosis patients have increased levels of iron in their airways and this might be an important reason as to why they're more likely to get chronic colonisation with certain bacteria in the lungs," he acknowledges. At the same time, Jay is also working with a University of Newcastle PhD student on an adaptation of his earlier respiratory Chlamydia research. This time exploring the role of immune responses in stopping the progression of femalereproductive tract Chlamydia infections, Jay is seeking to develop a comprehensive understanding of the pathogenesis of sexually transmissible infection (STI). "The immune system in the female reproductive tract is different to other organs as it needs to be able to tolerate the implantation of an embryo that is genetically different from the mother," he comments. "Consequently, much of what we know about immunity from research of other tissues does not completely apply to the female reproductive tract." "While Chlamydia is able to be treated with antibiotics, a lot of infections are asymptomatic so you don't go to the doctor to get treated." Jay explains that if Chlamydia is untreated, it is able to advance into the uterus and fallopian tubes and eventually become chronic. The immune responses elicited in order to protect against this chronic upper reproductive tract infection, can cause damage to the delicate tissues in the female reproductive tract, and this can result in serious problems including infertility, pelvic inflammatory disease and ectopic pregnancy. "We are trying to identify the protective immune factors, and those that cause damage, so that we can develop improved therapeutic strategies for preventing and treating disease," he shares. "In collaboration with researchers at Monash University we have identified a novel type 1 interferon that protects against infection in the female reproductive tract." "We are currently working with this factor to try to come up with innovative therapies for Chlamydia." "These might be applicable to other STIs, like human papillomavirus, herpes and HIV." 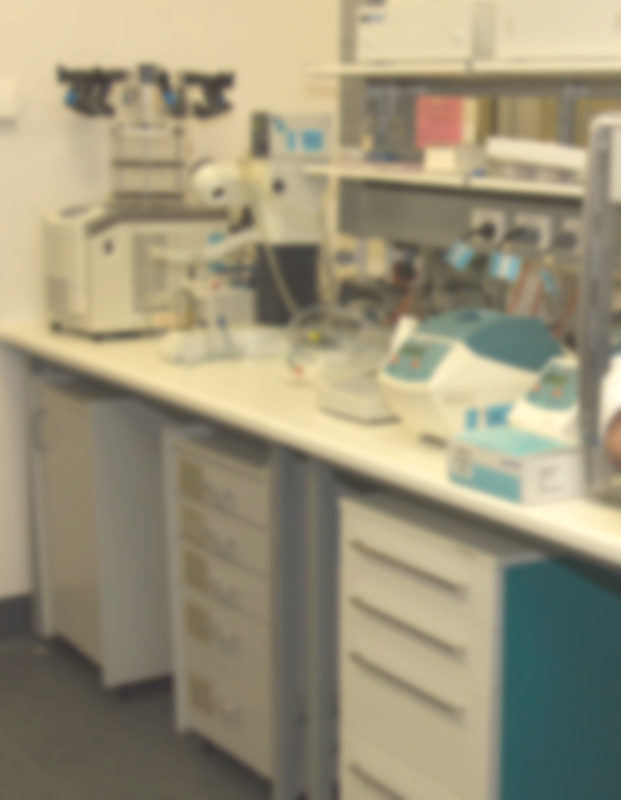 Interested in completing a PhD in Immunology and Microbiology? These research programs aim to inform novel targets for the development of improved therapeutic strategies for severe, steroid-resistant asthma, infection-associated respiratory and reproductive tract diseases and neurodegenerative diseases such as Alzheimer’s and multiple sclerosis. Contribution to Research to Date; Infection & severe asthma: I have published a number of important studies that have significantly advanced the understanding of the immunological and pathophysiological interactions between lung infections and asthma. I showed for the first time that early-life, but not adult, infection enhances the severity of asthma in later life. I also showed that infection during asthma in adults results in the development of a phenotype resembling severe, steroid-resistant, neutrophilic asthma. I have since extended my research to investigate the mechanisms that underpin infection- and high fat diet/obesity-induced severe asthma in order to inform novel therapeutic strategies for disease. Infection & reproductive tract disease: I have recently begun utilising my extensive experience in research of the immunobiology of Chlamydia infection to play a role in developing a successful research program that aims to understand the mechanisms of pathogenesis of Chlamydia reproductive tract and brain disease. We recently published a groundbreaking article in Science that demonstrated the role of IFN-epsilon in protecting against Chlamydia reproductive tract infection. I have also published a first author study that was the first to show that IL-13 promotes susceptibility to Chlamydia reproductive tract infections. Continuing Research; My aim is to continue investigations of the association between infections and obesity and severe, steroid-resistant asthma and of infection-induced, reproductive tract disease. I have been awarded an NHMRC Project Grant (2013-16) to elucidate the mechanisms of and discover new treatments for steroid-resistant asthma. I am also a Chief Investigator on a NHMRC Project Grant application for funding 2014-16 that will elucidate the mechanisms IFN-epsilon mediated protection against Chlamydia-infection in the reproductive tract. Establishing Novel Research Programs; I have begun investigating the association between infection and cigarette smoking with a number of other diseases including Alzheimer’s and other neurodegenerative disorders. I also have recently initiated a program that focusses on investigating the interplay between iron, infection and immunity in lung and the effect this has on respiratory disease. BACKGROUND: Subtle histopathologic features such as eosinophilia and increased mast cells have been observed in functional gastrointestinal disorders (FGIDs), including functional dyspepsia (FD) and the irritable bowel syndrome (IBS). The mechanisms that drive recruitment of these cells to the gastrointestinal tract remain unexplained, largely due to the heterogeneity in phenotypes among patients diagnosed with such conditions. We aimed to systematically review the literature and collate the evidence for immune activation in FD and IBS, and where possible, detail the nature of activation. METHODS: Seven literature databases were searched using the keywords: &apos;functional gastrointestinal disorder&apos;, FGID, &apos;functional dyspepsia&apos;, &apos;non-ulcer dyspepsia&apos;, &apos;idiopathic dyspepsia&apos;, &apos;irritable bowel syndrome&apos;, IBS and &apos;immun*&apos;. RESULTS: Fifty-one papers reporting discordant immune features met the selection criteria for this review. Changes in lymphocyte populations, including B and T lymphocyte numbers and activation status were reported in IBS and FD, in conjunction with duodenal eosinophilia in FD and increased colonic mast cells in IBS. Increases in circulating a4ß7 gut-homing T cells appear to be linked to the pathophysiology of both FD and IBS. Studies in the area are complicated by poor phenotyping of patients into subgroups and the subtle nature of the immune activity involved in FD and IBS. CONCLUSIONS: Alterations in proportions of gut-homing T lymphocytes in both FD and IBS indicate that a loss of mucosal homeostasis may drive the symptoms of FD and IBS. There is indirect evidence that Th17 responses may play a role in FGIDs, however the evidence for a Th2 immune phenotype in FD and IBS is limited. Although immune involvement is evident, large, well-characterised patient cohorts are required to elucidate the immune mechanisms driving the development of FGIDs. © 2018 American Society for Investigative Pathology Inflammatory bowel disease (IBD) is associated with several immune-mediated extraintestinal manifestations. More than half of all IBD patients have some form of respiratory pathology, most commonly neutrophil-mediated diseases, such as bronchiectasis and chronic bronchitis. Using murine models of colitis, we aimed to identify the immune mechanisms driving pulmonary manifestations of IBD. We found increased neutrophil numbers in lung tissue associated with the pulmonary vasculature in both trinitrobenzenesulfonic acid¿ and dextran sulfate sodium¿induced models of colitis. Analysis of systemic inflammation identified that neutrophilia was associated with bacteremia and pyrexia in animal models of colitis. We further identified IL-6 as a systemic mediator of neutrophil recruitment from the bone marrow of dextran sulfate sodium animals. Functional inhibition of IL-6 led to reduced systemic and pulmonary neutrophilia, but it did not attenuate established colitis pathology. These data suggest that systemic bacteremia and pyrexia drive IL-6 secretion, which is a critical driver for pulmonary manifestation of IBD. Targeting IL-6 may reduce neutrophil-associated extraintestinal manifestations in IBD patients. © 2018 American Physiological Society. All rights reserved. Obesity is an important risk factor for developing severe asthma. Dietary fatty acids, which are increased in sera of obese individuals and after high-fat meals, activate the innate immune system and induce inflammation. This study investigated whether dietary fatty acids directly cause inflammation and/or synergize with obesity-induced cytokines in primary human pulmonary fibroblasts in vitro. Fibroblasts were challenged with BSA-conjugated fatty acids [¿-6 polyunsaturated fatty acids (PUFAs) and ¿-3 PUFAs or saturated fatty acids (SFAs)], with or without TNF-a, and release of the proinflammatory cytokines, IL-6 and CXCL8, was measured. We found that the ¿-6 PUFA arachidonic acid (AA), but not ¿-3 PUFAs or SFAs, upregulates IL-6 and CXCL8 release. Combined AA and TNF-a challenge resulted in substantially greater cytokine release than either alone, demonstrating synergy. Synergistic upregulation of IL-6, but not CXCL8, was mainly mediated via cyclooxygenase (COX). Inhibition of p38 MAPK reduced CXCL8 release, induced by AA and TNF-a alone, but not in combination. Synergistic CXCL8 release, following AA and TNF-a challenge, was not medicated via a single signaling pathway (MEK1, JNK, phosphoinositide 3-kinase, and NF-¿B) nor by hyperactivation of NF-¿B or p38. To investigate if these findings occur in other airway cells, effects of AA in primary human airway smooth muscle (ASM) cells and human bronchial epithelial cells were also investigated. We found proinflammatory effects in ASM cells but not epithelial cells. This study suggests that diets rich in ¿-6 PUFAs might promote airway inflammation via multiple pathways, including COX-depen-dent and-independent pathways, and in an obese person, may lead to more severe airway inflammation. © 2017 John Wiley & Sons A/S. Published by John Wiley & Sons Ltd Severe, steroid-resistant asthma is clinically and economically important since affected individuals do not respond to mainstay corticosteroid treatments for asthma. Patients with this disease experience more frequent exacerbations of asthma, are more likely to be hospitalized, and have a poorer quality of life. Effective therapies are urgently required, however, their development has been hampered by a lack of understanding of the pathological processes that underpin disease. A major obstacle to understanding the processes that drive severe, steroid-resistant asthma is that the several endotypes of the disease have been described that are characterized by different inflammatory and immunological phenotypes. This heterogeneity makes pinpointing processes that drive disease difficult in humans. Clinical studies strongly associate specific respiratory infections with severe, steroid-resistant asthma. In this review, we discuss key findings from our studies where we describe the development of representative experimental models to improve our understanding of the links between infection and severe, steroid-resistant forms of this disease. We also discuss their use in elucidating the mechanisms, and their potential for developing effective therapeutic strategies, for severe, steroid-resistant asthma. Finally, we highlight how the immune mechanisms and therapeutic targets we have identified may be applicable to obesity-or pollution-associated asthma. © 2017 EAACI and John Wiley and Sons A/S. Published by John Wiley and Sons Ltd. Background: Asthma is an allergic airway disease (AAD) caused by aberrant immune responses to allergens. Protein phosphatase-2A (PP2A) is an abundant serine/threonine phosphatase with anti-inflammatory activity. The ubiquitin proteasome system (UPS) controls many cellular processes, including the initiation of inflammatory responses by protein degradation. We assessed whether enhancing PP2A activity with fingolimod (FTY720) or 2-amino-4-(4-(heptyloxy) phenyl)-2-methylbutan-1-ol (AAL (S) ), or inhibiting proteasome activity with bortezomib (BORT), could suppress experimental AAD. Methods: Acute AAD was induced in C57BL/6 mice by intraperitoneal sensitization with ovalbumin (OVA) in combination with intranasal (i.n) exposure to OVA. Chronic AAD was induced in mice with prolonged i.n exposure to crude house dust mite (HDM) extract. Mice were treated with vehicle, FTY720, AAL (S) , BORT or AAL (S) +BORT and hallmark features of AAD assessed. Results: AAL (S) reduced the severity of acute AAD by suppressing tissue eosinophils and inflammation, mucus-secreting cell (MSC) numbers, type 2-associated cytokines (interleukin (IL)-33, thymic stromal lymphopoietin, IL-5 and IL-13), serum immunoglobulin (Ig)E and airway hyper-responsiveness (AHR). FTY720 only suppressed tissue inflammation and IgE. BORT reduced bronchoalveolar lavage fluid (BALF) and tissue eosinophils and inflammation, IL-5, IL-13 and AHR. Combined treatment with AAL (S) +BORT had complementary effects and suppressed BALF and tissue eosinophils and inflammation, MSC numbers, reduced the production of type 2 cytokines and AHR. AAL (S) , BORT and AAL (S) +BORT also reduced airway remodelling in chronic AAD. Conclusion: These findings highlight the potential of combination therapies that enhance PP2A and inhibit proteasome activity as novel therapeutic strategies for asthma. © 2017 Elsevier Ltd Innate immune responses act as first line defences upon exposure to potentially noxious stimuli. The innate immune system has evolved numerous intracellular and extracellular receptors that undertake surveillance for potentially damaging particulates. Inflammasomes are intracellular innate immune multiprotein complexes that form and are activated following interaction with these stimuli. Inflammasome activation leads to the cleavage of pro-IL-1ß and release of the pro-inflammatory cytokine, IL-1ß, which initiates acute phase pro-inflammatory responses, and other responses are also involved (IL-18, pyroptosis). However, excessive activation of inflammasomes can result in chronic inflammation, which has been implicated in a range of chronic inflammatory diseases. The airways are constantly exposed to a wide variety of stimuli. Inflammasome activation and downstream responses clears these stimuli. However, excessive activation may drive the pathogenesis of chronic respiratory diseases such as severe asthma and chronic obstructive pulmonary disease. Thus, there is currently intense interest in the role of inflammasomes in chronic inflammatory lung diseases and in their potential for therapeutic targeting. Here we review the known associations between inflammasome-mediated responses and the development and exacerbation of chronic lung diseases. © 2016 American Academy of Allergy, Asthma & Immunology Background Severe steroid-insensitive asthma is a substantial clinical problem. Effective treatments are urgently required, however, their development is hampered by a lack of understanding of the mechanisms of disease pathogenesis. Steroid-insensitive asthma is associated with respiratory tract infections and noneosinophilic endotypes, including neutrophilic forms of disease. However, steroid-insensitive patients with eosinophil-enriched inflammation have also been described. The¿mechanisms that underpin infection-induced, severe steroid-insensitive asthma can be elucidated by using mouse models of disease. Objective We sought to develop representative mouse models of severe, steroid-insensitive asthma and to use them to identify pathogenic mechanisms and investigate new treatment approaches. Methods Novel mouse models of Chlamydia, Haemophilus influenzae, influenza, and respiratory syncytial virus respiratory¿tract infections and ovalbumin-induced, severe, steroid-insensitive allergic airway disease (SSIAAD) in BALB/c mice were developed and interrogated. Results Infection induced increases in the levels of microRNA (miRNA)-21 (miR-21) expression in the lung during SSIAAD, whereas expression of the miR-21 target phosphatase and tensin homolog was reduced. This was associated with an increase in levels of phosphorylated Akt, an indicator of phosphoinositide 3-kinase (PI3K) activity, and decreased nuclear histone deacetylase (HDAC)2 levels. Treatment with an miR-21¿specific antagomir (Ant-21) increased phosphatase and tensin homolog levels. Treatment with Ant-21, or the pan-PI3K inhibitor LY294002, reduced PI3K activity and restored HDAC2 levels. This led to suppression of airway hyperresponsiveness and restored steroid sensitivity to allergic airway disease. These observations were replicated with SSIAAD associated with 4 different pathogens. Conclusion We identify a previously unrecognized role for an¿miR-21/PI3K/HDAC2 axis in SSIAAD. Our data highlight miR-21 as a novel therapeutic target for the treatment of this form of asthma. Chronic obstructive pulmonary disease (COPD) is a life-Threatening inflammatory respiratory disorder, often induced by cigarette smoke (CS) exposure. The development of effective therapies is impaired by a lack of understanding of the underlining mechanisms. Tumor necrosis factor-related apoptosis-inducing ligand (TRAIL) is a cytokine with inflammatory and apoptotic properties. We interrogated a mouse model of CS-induced experimental COPD and human tissues to identify a novel role for TRAIL in COPD pathogenesis. CS exposure of wild-Type mice increased TRAIL and its receptor messenger RNA (mRNA) expression and protein levels, as well as the number of TRAIL + CD11b + monocytes in the lung. TRAIL and its receptor mRNA were also increased in human COPD. CS-exposed TRAIL-deficient mice had decreased pulmonary inflammation, pro-inflammatory mediators, emphysema-like alveolar enlargement, and improved lung function. TRAIL-deficient mice also developed spontaneous small airway changes with increased epithelial cell thickness and collagen deposition, independent of CS exposure. Importantly, therapeutic neutralization of TRAIL, after the establishment of early-stage experimental COPD, reduced pulmonary inflammation, emphysema-like alveolar enlargement, and small airway changes. These data provide further evidence for TRAIL being a pivotal inflammatory factor in respiratory diseases, and the first preclinical evidence to suggest that therapeutic agents that target TRAIL may be effective in COPD therapy. Exposure to particulate matter (PM), a major component of air pollution, contributes to increased morbidity and mortality worldwide. PM induces innate immune responses and contributes to allergic sensitization, although the mechanisms governing this process remain unclear. Lung mucosal uric acid has also been linked to allergic sensitization. The links among PM exposure, uric acid, and allergic sensitization remain unexplored. We therefore investigated the mechanisms behind PM-induced allergic sensitization in the context of lung mucosal uric acid. PM 10 and house dust mite exposure selectively induced lung mucosal uric acid production and secretion in vivo, which did not occur with other challenges (lipopolysaccharide, virus, bacteria, or inflammatory/fibrotic stimuli). PM 10 -induced uric acid mediates allergic sensitization and augments antigen-specific T-cell proliferation, which is inhibited by uricase. We then demonstrate that human airway epithelial cells secrete uric acid basally and after stimulation through a previously unidentified mucosal secretion system. Our work discovers a previously unknown mechanism of air pollution-induced, uric acid-mediated, allergic sensitization that may be important in the pathogenesis of asthma. © 2014. The immune and nociceptive systems are shaped during the neonatal period where they undergo fine-tuning and maturation. Painful experiences during this sensitive period of development are known to produce long-lasting effects on the immune and nociceptive responses. It is less clear, however, whether inflammatory pain responses are primed by neonatal exposure to mild immunological stimuli, such as with lipopolysaccharide (LPS). Here, we examine the impact of neonatal LPS exposure on inflammatory pain responses, peripheral and hippocampal interleukin-1ß (IL-1ß), as well as mast cell number and degranulation in preadolescent and adult rats. Wistar rats were injected with LPS (0.05 mg/kg IP, Salmonella enteritidis) or saline on postnatal days (PNDs) 3 and 5 and later subjected to the formalin test at PNDs 22 and 80-97. At both time-points, and one-hour after formalin injection, blood and hippocampus were collected for measuring circulating and central IL-1ß levels using ELISA and Western blot, respectively. Paw tissue was also isolated to assess mast cell number and degree of degranulation using Toluidine Blue staining. Behavioural analyses indicate that at PND 22, LPS-challenged rats displayed enhanced flinching (p<.01) and licking (p<.01) in response to formalin injection. At PNDs 80-97, LPS-challenged rats exhibited increased flinching (p<.05), an effect observed in males only. Furthermore, neonatal LPS exposure enhanced circulating IL-1ß and mast cell degranulation in preadolescent but not adult rats following formalin injection. Hippocampal IL-1ß levels were increased in LPS-treated adult but not preadolescent rats in response to formalin injection. These data suggest neonatal LPS exposure produces developmentally regulated changes in formalin-induced behavioural responses, peripheral and central IL-1ß levels, as well as mast cell degranulation following noxious stimulation later in life. These findings highlight the importance of immune activation during the neonatal period in shaping immune response and pain sensitivity later in life. This is of clinical relevance given the high prevalence of bacterial infection during the neonatal period, particularly in the vulnerable population of preterm infants admitted to neonatal intensive care units. Preterm infants who receive supplemental oxygen for prolonged periods are at increased risk of impaired lung function later in life. This suggests that neonatal hyperoxia induces persistent changes in small conducting airways (bronchioles). Although the effects of neonatal hyperoxia on alveolarization are well documented, little is known about its effects on developing bronchioles. We hypothesized that neonatal hyperoxia would remodel the bronchiolar walls, contributing to altered lung function in adulthood. We studied three groups of mice (C57BL/6J) to postnatal day 56 (P56; adulthood) when they either underwent lung function testing or necropsy for histological analysis of the bronchiolar wall. One group inhaled 65% O2 from birth until P7, after which they breathed room air; this group experienced growth restriction (HE+GR group). We also used a group in which hyperoxia-induced GR was prevented by dam rotation (HE group). A control group inhaled room air from birth. At P56, the bronchiolar epithelium of HE mice contained fewer Clara cells and more ciliated cells, and the bronchiolar wall contained ~25% less collagen than controls; in HE+GR mice the bronchiolar walls had ~13% more collagen than controls. Male HE and HE+GR mice had significantly thicker bronchiolar epithelium than control males and altered lung function (HE males: greater dynamic compliance; HE+GR males: lower dynamic compliance). We conclude that neonatal hyperoxia remodels the bronchiolar wall and, in adult males, affects lung function, but effects are altered by concomitant growth restriction. Our findings may partly explain the reports of poor lung function in ex-preterm children and adults. Anat Rec, 297:758-769, 2014. © 2014 Wiley Periodicals, Inc. Copyright © 2014 by the American Thoracic Society Asthma affects 10% of the population in Westernized countries, being most common in children. It is a heterogeneous condition characterized by chronic allergic airway inflammation, mucus hypersecretion, and airway hyperresponsiveness (AHR) to normally innocuous antigens. Combination therapies with inhaled corticosteroids and bronchodilators effectively manage mild to moderate asthma, but there are no cures, and patients with severe asthma do not respond to these treatments. The inception of asthma is linked to respiratory viral (respiratory syncytial virus, rhinovirus) and bacterial (Chlamydia, Mycoplasma) infections. The examination of mouse models of early-life infections and allergic airway disease (AAD) provides valuable insights into the mechanisms of disease inception that may lead to the development of more effective therapeutics. For example, early-life, but not adult, Chlamydia respiratory infections in mice permanently modify immunity and lung physiology. This increases the severity of AAD by promoting IL-13 expression, mucus hypersecretion, and AHR. We have identified novel roles for tumor necrosis factor-related apoptosisinducing ligand (TRAIL) and IL-13 in promoting infection-induced pathology in early life and subsequent chronic lung disease. Genetic deletion of TRAIL or IL-13 variously protected against neonatal infection-induced inflammation, mucus hypersecretion, altered lung structure, AHR, and impaired lung function. Therapeutic neutralization of these factors prevented infection-induced severe AAD. Other novel mechanisms and avenues for intervention are also being explored. Such studies indicate the immunological mechanisms that may underpin the association between early-life respiratory infections and the development of more severe asthma and may facilitate the development of tailored preventions and treatments. Level 2, East Wing HMRI Building.